The Stainless Steel and Teak Plank outdoor dining table will look stunning in an outdoor living space with its contemporary style and blend of an A-grade teak table top and marine grade (#316) stainless steel frame and legs. 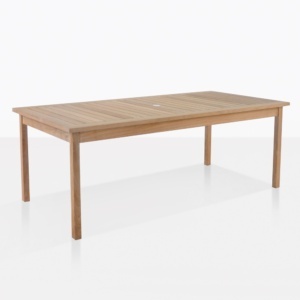 This table is truly a magnificent piece; unlike any other. The size of the premium teak used in this piece puts on display the honey, golden hued majesty of the Teak timber that it is made with. 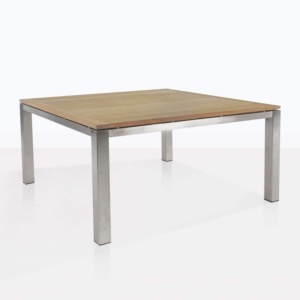 The table top has substantial 33 centimetre wide planks made of A-grade teak, a wood that’s ideally suited for outdoor living environments. 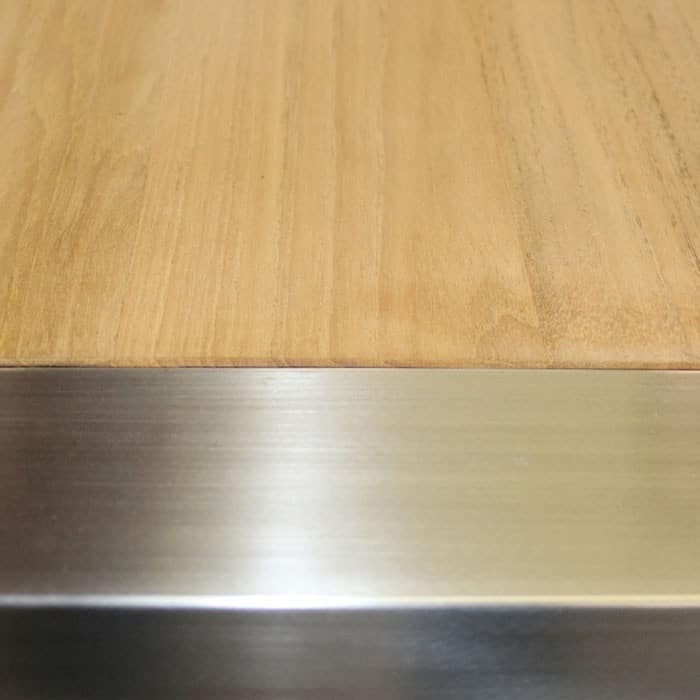 Naturally occurring oil and rubber compounds in teak wood make it extremely resistant to the retention of water which keeps the teak from warping and cracking. 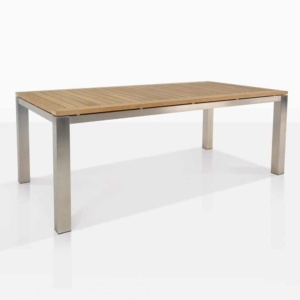 The Plank outdoor dining table has a lightweight marine grade stainless steel frame and legs, which like the teak table top, is ideally suited for the outdoors because it’s resistant to corrosion and retains its good looks. 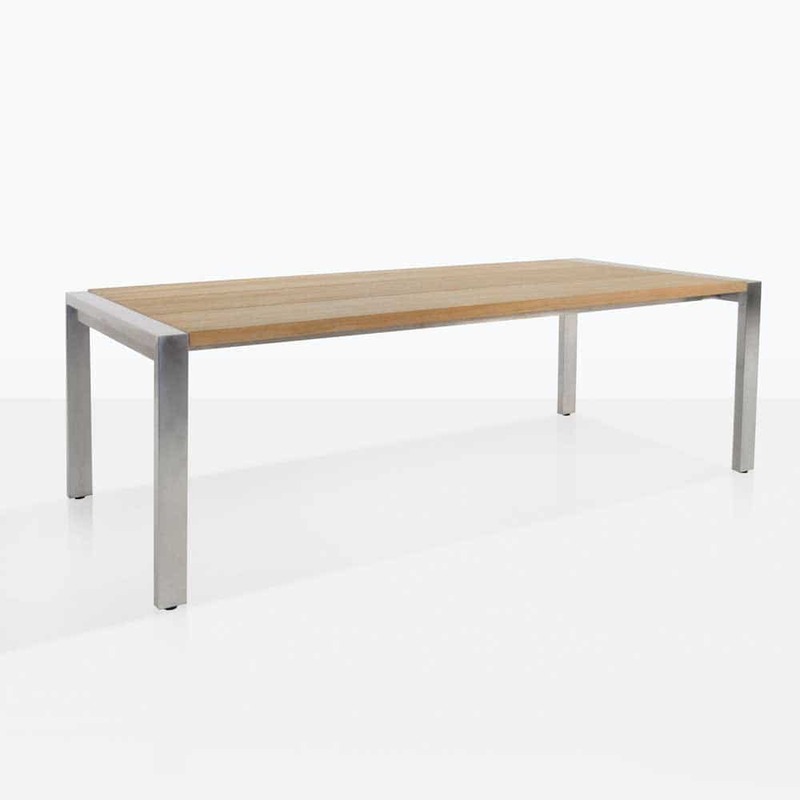 With its mix of traditional and contemporary, the Plank dining table can be complemented with teak chairs or our Batyline® stainless steel chairs for a relaxing and rewarding outdoor dining experience.